A 25-year-old woman has been jailed for 120 days at Jedburgh Sheriff Court for causing a disturbance at the Borders General Hospital at Melrose. 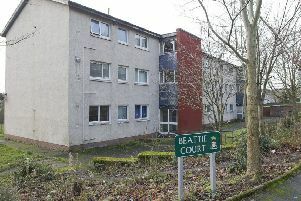 Sarah Scott, of Woodstock Avenue, Galashiels, pleaded guilty to behaving in a threatening or abusive manner in the accident-and-emergency department last Monday. The court heard she had been taken to hospital after self-harming for treatment to a wound, but once at the hospital she became agitated after complaining a dressing for a wound was not adequate and started pulling items out of sockets, striking her head against a wall and struggling with police officers. Sheriff Peter Paterson told Scott she had previously been told the court was running out of sentencing options due to her offending and, given the locus of the offence, her behaviour was unacceptable. Her 120-day jail sentence was backdated to February 13, that being when she was first remanded in custody in connection with the matter.